In my continued efforts to help student loan borrowers understand why hiring a student loan attorney is a good idea, I’d like to post some of the cases we are working on this week. Some of these are a little out of the ordinary and I’m hoping that other potential clients who have similar difficulties will contact us to help after they read this. 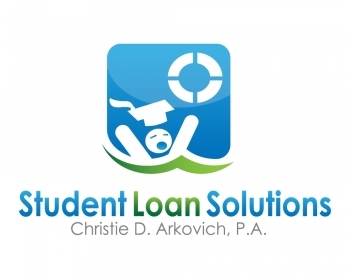 We settled a case for a client who came to us with a private student loan default a couple months back. He had accidentally defaulted when he tried to put two student loans into forbearance. He was told to send a certain sum of money, and sign and return two forbearance agreements. He did that. Despite both agreements being placed in the same envelope, the unnamed bank claimed it had received only one. And they argued that two payments were due, not just one. So they put the default on his credit. Unfortunately, this default would prevent him from applying and obtaining a federal attorney position with a security clearance. He offered to pay them in full. No can do. The default would remain. He hired us. We tried to talk to the bank but we also hit a brick wall. So we sued. Within two weeks of hearing from the attorney representing the bank, we agreed to a removal of the default and a 50% settlement in exchange for a waiver of our claims. We sued under theories of negligence, negligent misrepresentation and the FCCPA. Our client is up for consideration for a federal job now, and we’ve asked that the default removal request be expedited so that it won’t come up in the background search. While we will never know for certain, the litigation we filed allowed the bank to “act outside of the box” and get this rectified. Another client came to us after being garnished on her federal loans for 8-9 years at $500 a month. I could hardly believe this had gone on for so long, but she didn’t think anything could be done since it was a student loan. 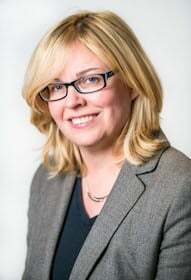 She’s not alone, many people think that, including attorneys who don’t do student loan work. She is a teacher making $30k or so a month. She owes 82k and her loan balance despite the $500 wage garnishment is not going down and she feared having to pay it forever. With two kids of her own about to go to college, she couldn’t afford for this to continue. Our plan is to rehab the default to cure it, then consolidate the loans to re-characterize her FFEL loans so they are eligible for public service and then apply for a certain income based plan with debt forgiveness that would forgive the balance after 10 years under the public service program without considering her husband’s considerable income. When the dust settles we estimate her payment will be $300 for 10 years. She is good with that. The amount is based on her income (not her husband’s which is over 100k), is affordable and the best thing is it’s over in 10 years with no tax forgiveness. We are nearing a settlement at 15% for a private loan held by the originating lender (not a debt buyer) for violations of a bankruptcy confirmation order and the automatic stay when it placed late pays for years and a default on the credit reports of a father who filed bankruptcy but continued to make payments on the private student loans under the confirmed Chapter 13 plan. The lender also dinged the son’s credit report for the late pays and default without lifting the bankruptcy stay to take such collection action. It can be disputed whether these are actual violations and what the damages are but our clients reported they were unable to get credit, particular the son who had not filed bankruptcy and otherwise had stellar credit. This settlement will result represent approximately 15% of the balance when the client came to us. And from a creditor that normally will not take less than 70% lump sum. Another client hasn’t been able to obtain his transcript since 2007. On the way to graduation, he had the misfortune of getting hit by a truck on the interstate. It’s taken years to recover and he’s been working menial jobs when he’s able. But he’s never been able to obtain his transcripts because he was in default on his student loans – so he was told. He’s spent years trying to get them speaking for hours with eight different departments at the school. I have a bet with myself about how quick we can get it. Hint: he already filed a bankruptcy a couple years ago and tuition debts owed to a school are dischargeable just like credit card debt. Check back in two weeks. A student loan attorney can help with even something as simple as a rehab plan. One client this week was approved for a payment of $10. This was right before a garnishment order would have been entered. When he had submitted his tax return and provided information about his family size, he was initially quoted a payment amount of $472. When we re-submitted the request using a budget form that we’ve developed and cited the appropriate C.F.R. rules, the payment was dropped to $10. Were we able to get rid of the entire student loan? No. But we were definitely able to help our clients obtain reasonable and affordable payments on both federal and private student loans, and help them get better jobs, improve their credit and move on with their lives to buy houses, move out of their parent’s basement and have children of their own. For further information, please contact Christie D. Arkovich, P.A. and check out our reviews on Avvo.